Pink seahorse baby girl gift basket a cute under the water themed baby basket or baby hamper to welcome and celebrate the arrival of a newborn girl, Free Toronto Delivery! Baby basket girl Toronto, Seahorse gift. 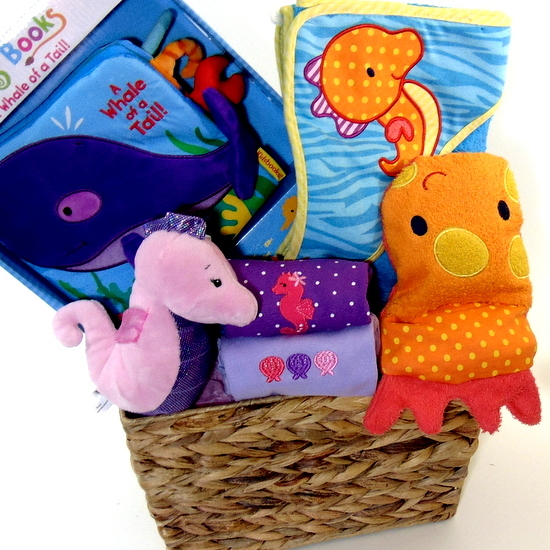 A cute under the water themed newborn gift hamper. Welcome To The World. It’s A Girl. Congratulations are some of the messages send with package. Also great shower gift basket. Baby basket girl Toronto. Wicker Breaded Basket filled with newborn products. 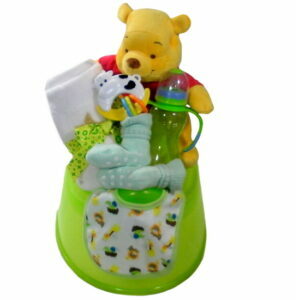 Ganz stuffed animal rattle. Kidsbooks fabric A Whale of Tail book. Blue hooded towel with orange fish embroidery. Orange fish bath mitt. Embroidered purple bodysuit. Jelly fish embroidered bodysuit. 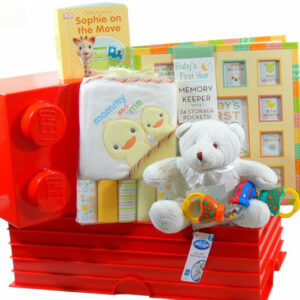 Send the new parents and celebrate the arrival of the new addition to the family. Welcome the newborn to the world. Toronto Free Hand Delivery 7 days a week.